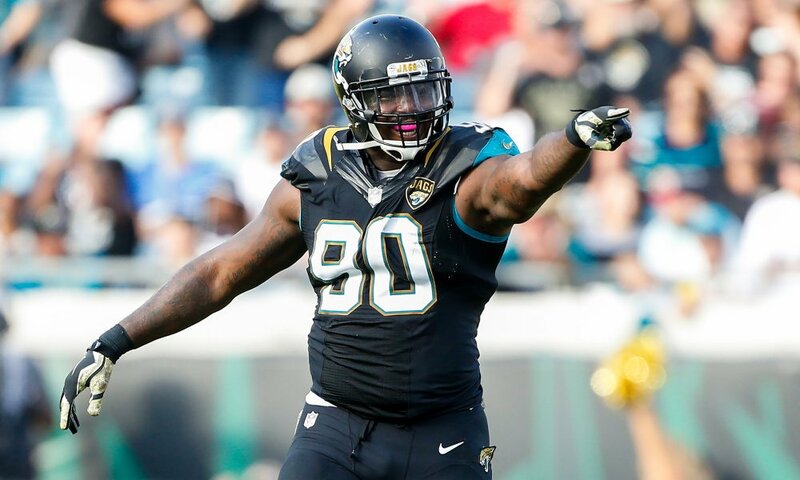 Malik Jackson Talks Crazy (again) But Could the Jaguars Back Him Up? When Jacksonville Jaguars defensive lineman Malik Jackson started talking Super Bowl last season, his words received a heavy amount of skepticism. Could one of the worst teams in recent history make that kind of turnaround? Few believed there was even a shot, but as it turns out—he was almost right. So, rather than be any less confident about the coming season or even as confident, he’s taken his confidence to a whole new level. You could say he’s even gotten a little crazy with it. Why? Because this year he isn’t just talking Super Bowl. He’s talking about the Jaguars going undefeated. Yep— the holy grail of NFL seasons, 16-0. At first glance, he sounds like any other blowhard. Guys that make these kinds of claims know the sports media is going to eat it up, so they enjoy the attention. Do they think their team can do it? The younger ones may be naïve enough to think so. But the older ones know how hard it is to have a winning season let alone an undefeated one. A healthy Jaguars team will probably be competitive with the New England Patriots in Week Two. But could we see them beating the Patriots? Probably not. But the excuse is already built in. What they were supposed to do is not let Tom Brady throw for 400 yards and five touchdowns. It’s arguing semantics, but it is what Jackson (or at least his supporters) will say when (should) the Patriots win that game. In all fairness, the Jaguars did play a very good game against the Patriots in the AFC Championship last year. So, maybe they do have a shot. Now Brady has always looked that way. So, Jackson better be ready for Brady to be at his best. While it is easy to overlook Jackson’s comments as just another overconfident football player talking without the use of a filter, could there be any truth to his words? The Jaguars defense was incredible last season. Leonard Fournette had a good rookie season. T. J. Yeldon ran well, and even Blake Bortles looked alright. Could they do it? Could they go 16-0? It is possible, of course, but it is highly unlikely. The Jaguars are only a year removed from a 3-13 season, and it’s not like they were ever close to being undefeated last season. There were times that the played down to their competition and others where they got dominated. Will they be better this season? Absolutely. So much that they could run the table?